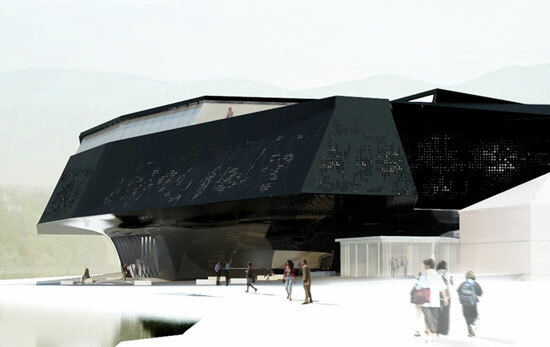 David Tajchman received an honorable mention to design the Meribor Museum in Slovenia. The high-tech project consists of fragmented pixilated surface inspired in the traditional Slovenian lacework. The steep condition of the site was considered to elevate the museum galleries to the first level and create a public square at the ground plane where different ramps connect the exterior with the interior spaces creating a constant flux of people. 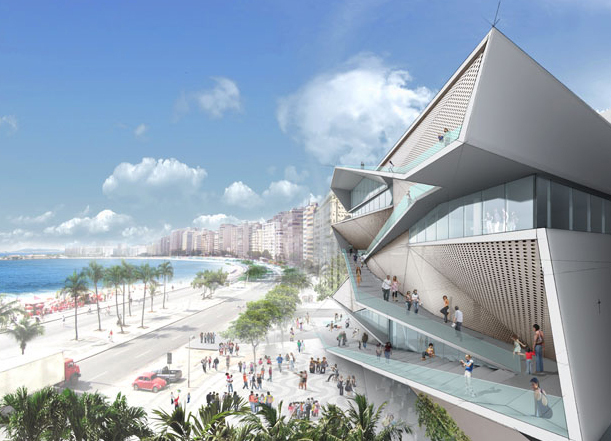 Diller Scofidio + Renfro designed the new Museum of Image and Sound in Rio de Janeiro, Brazil to be completed in 2011. The architecture of the museum takes Copacabana Beach as its inspiration; its coastline, its mountains, and its distinctive beach promenade designed by Roberto Burle Marx. 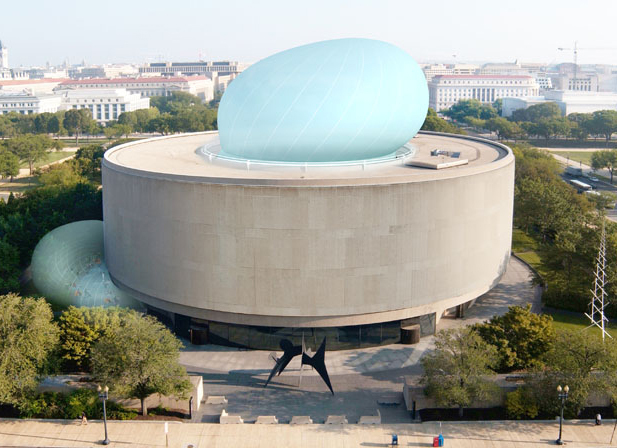 The building is conceived as an extension of the promenade, stretched vertically into the museum. 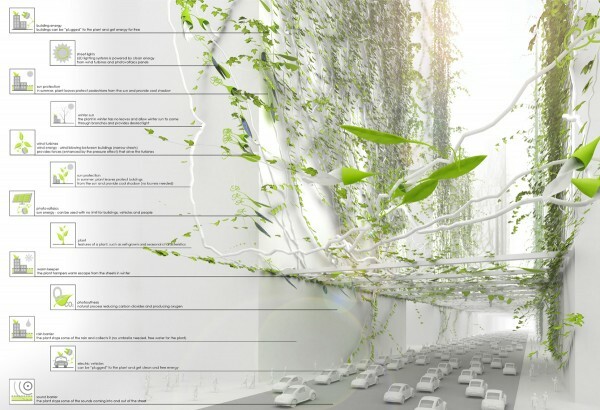 This new “vertical boulevard” gently traverses indoor and outdoor spaces and branches to make galleries, education programs, and spaces for public leisure and entertainment. Polish architects Jakub Fiszer, Piotr Pyrtek, and Tomasz Salamon unveiled a futuristic proposal to make our cities greener. It is estimated that in 2013 more than half of the world’s population will be living in urban settlements. The neck-break pace of urbanization has left our cities with a constant lack of infrastructure, high pollution levels, and poor urban and architectural design. Chris Bosse has sliced up the Panton chair as part of the Re-loved: designer stories at the Powerhouse Museum from July 31 to October 10. Bosse, director of innovative architectural firm LAVA, is one of several designers commissioned by the Powerhouse to use a pre-loved chair to tell a story about a piece of furniture they love. He chose a design classic that relates to current design and manufacturing techniques. 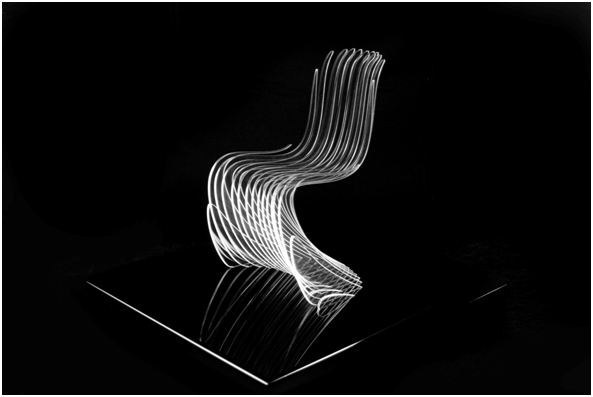 The gravity defying Panton chair c1967 by Danish designer Verner Panton was a radical departure from traditional design and manufacturing techniques. It anticipated the digital revolution by 30 years and is the first freeform, organic molded piece of furniture. “I’ve chosen to represent this shape as slices, similar to an MRI scan in order to make visible its complex 3dimensional geometry. The chair is metaphorically and physically carved out of a sliced box ” says Bosse. Russian Architect Kitaev Artem Leonidovich shared with us his vision for a 21st century skyscraper that responds to a specific industrial area in Moscow. His thesis is to erase the preconceived idea of a high-rise building as an extruded crystal prism of repeated floor plates. Table Cloth, designed by Ball Nogues Studio, is collaboration between the UCLA Department of Architecture and Urban Design, The Herb Alpert School of Music, and UCLA Design Media Arts. It is made possible by generous support from the Graham Foundation for Advanced Studies in the Fine Arts and the UCLA Arts Initiative. 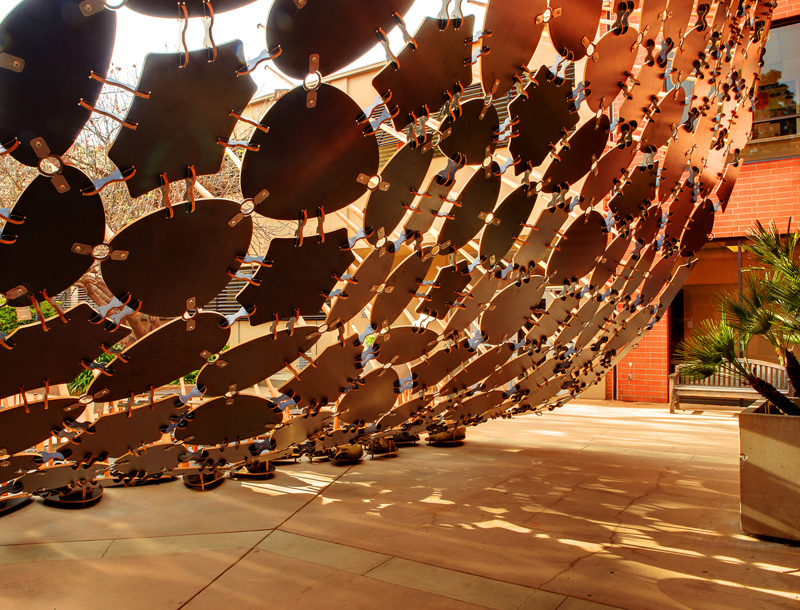 The installation in the courtyard at Schoenberg Hall serves as an integrated set piece and backdrop for performance and everyday social interaction. We understand the work as a tablecloth to adorn and activate the architecture of the campus. Tables are places where people interact socially. Dining tables, specifically, facilitate organization and communication within the typical American home. 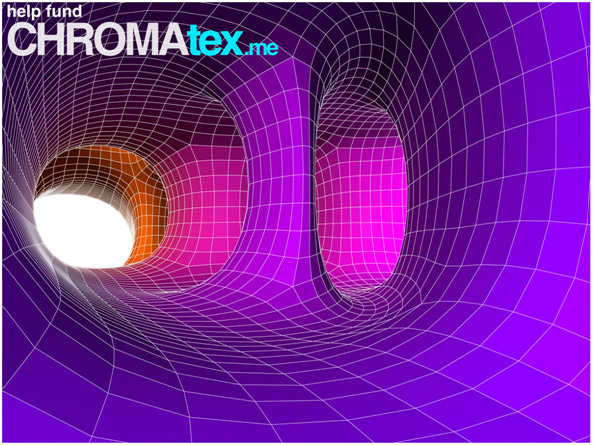 SOFTlab is one of the most talented design studios in New York; they recently won the New Practices New York Award and they need your help to produce an installation at the Bridgegallery in the lower east side of Manhattan. The idea is to fill the gallery by August 26th with a funnel made out of 5,000 panels of different color. Architecture firm Peter Rose + Partners has completed the Kripalu Annex, the first step in the firm’s master plan to reshape the Kripalu Center for Yoga & Health. 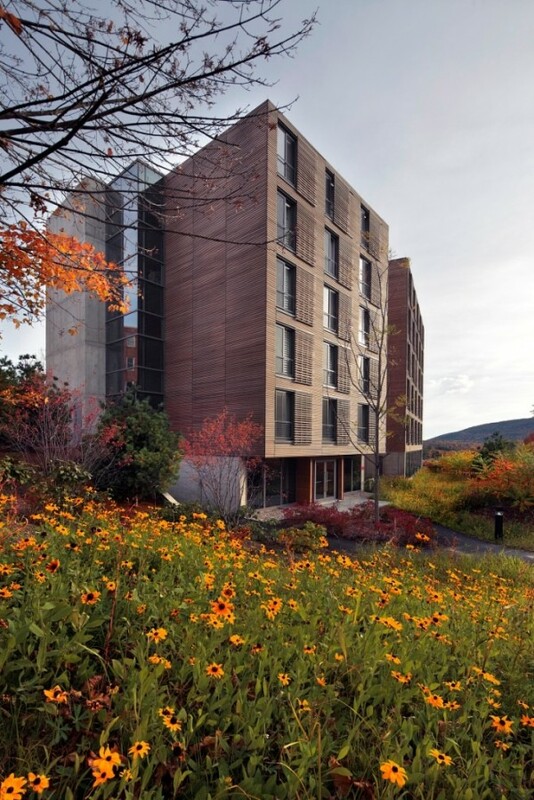 The project, which reflects Rose’s career-long commitment to ecologically innovative design, has recently been declared a winner of the prestigious AIA National Housing Award in the category of Specialized Housing; just one day later, I.D.’s 2010 Annual Design Review awarded Kripalu an Honorable Mention in the Environments category. Tucked into 300 acres of dense forest in the Berkshire Mountains, Kripalu (kri-PAH-loo) is the largest and most established yoga retreat in North America. For over 30 years, Kripalu has been teaching skills for optimal living through experiential education for mind, body, and spirit, and this holistic approach was the starting point for the innovative plan that secured Peter Rose the Kripalu commission in 2004.
eVolo Magazine is pleased to invite students, architects, engineers, and designers from around the globe to take part in the 2011 Skyscraper Competition. 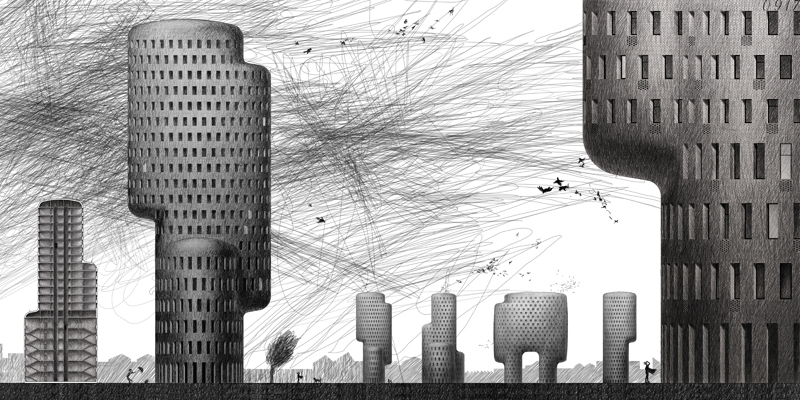 The annual eVolo Skyscraper Competition is a forum for the discussion, development, and promotion of innovative concepts for vertical density. It examines the relationship between the skyscraper and the natural world, the skyscraper and the community, and the skyscraper and the city. The exponential increase of the world’s population and its unprecedented shift from rural to urban areas has prompted hundreds of new developments without adequate urban planning and poor architectural design. 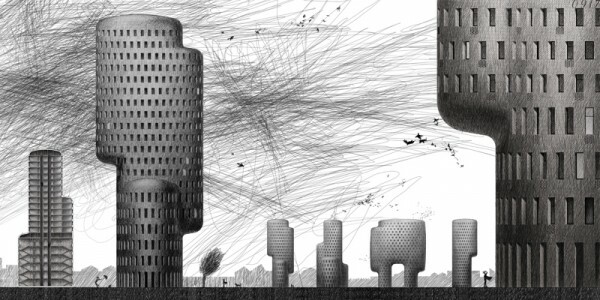 The aim of this competition is to redefine what we understand as a skyscraper and initiate a new architectural discourse of economic, environmental, intellectual, and perceptual responsibility that could ultimately modify our cities and improve our way of life. The use of new materials, technologies, aesthetics, and novel spatial organizations, along with studies on globalization, flexibility, adaptability, and the digital revolution are some of the multi-layered elements that the participants should take into consideration. This is also an investigation on the public and private space and the role of the individual and the collective in the creation of a dynamic and adaptive vertical community. 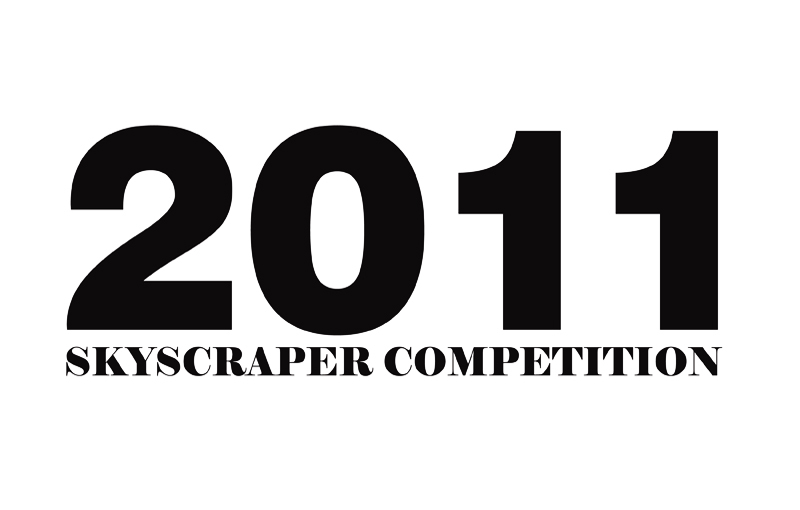 Students, architects, engineers, and designers are invited to participate in the competition. We encourage you to have multidisciplinary teams. Participants must register by January 11, 2011. After your registration has been approved eVolo will send the registration number which will be necessary for submission boards. Two boards with the project information including plans, sections, and perspectives. Participants are encouraged to submit all the information they consider necessary to explain their proposal. These boards should be 24″ X 48″ in HORIZONTAL format. The resolution of the boards must be 150 dpi, RGB mode and saved as JPG files. The upper right corner of each board must contain the participation number. There should not be any marks or any other form of identification. The files must be named after the registration number followed by the board number. For example: 0101-1.jpg and 0101-2.jpg. Winners and special mentions will be published in several print magazines including eVolo_04.